You may think that lanyards are purely practical items. But the fashion lanyard has become one of the hottest accessories on the fashion scene. Learn more here. Lanyards are some of the most practical items we can have. They’re not the items you go to when you want to go for a fashionable look, though. In fact, you often leave them out of your outfit aesthetic. However, it’s a waste to not take advantage of their usefulness for the price of fashion. Is there a way to combine the two? Well, many designers are now releasing fashion lanyard items. They’re for when you want to be practical and stylish at the same time. First, let’s take a look at how these came to be. Some form of lanyards has already been in use since the 1500’s. This is when French soldiers and pirates used them to keep their weapons close at hand. They usually used ropes or cords strewn about in the ship and then tie them to their gun or so. As its usefulness persisted through the years, people started making adjustments. These include adding attachments that can make it easier to switch items tied to the lanyard. It had become useful even to the civilians’ lives. As you know, we still use lanyards the same way as we did back then. We use them to keep the important things close, but what’s more important is that it allows us to display these items. School or office ID cards, for example, should always be visible. That’s why lanyards are the perfect choice for this. 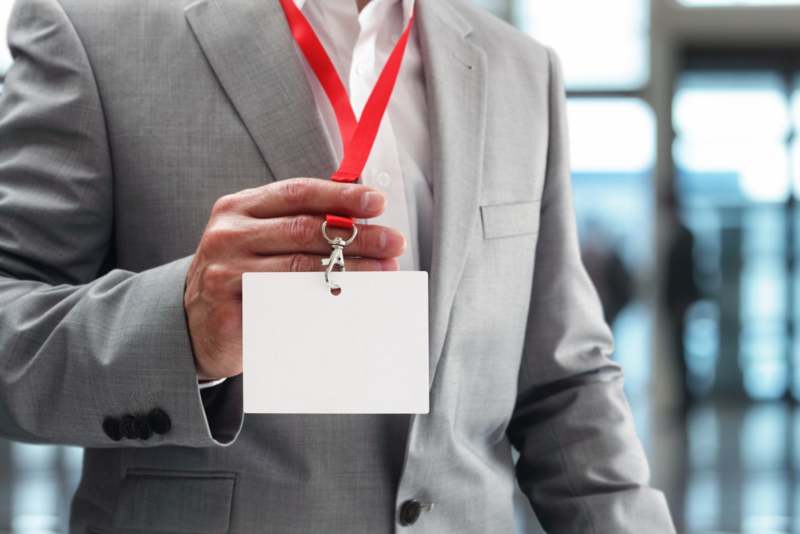 Although identification seems to be the primary use of lanyards today, many people also use it for other things. They use it to hold their keys, card cases, and other stuff as long as they can tie it to the lanyard. For a short time in history, people even used to tie their phones around their necks with a lanyard. However, that trend fell out fast due to security and fashion concerns. Lanyards also serve another purpose: for corporate branding. Because they can be wide, businesses see this as an opportunity to promote by printing their logo on it. This is useful for employees and at events. Some companies even use a color-coding scheme. This is where the color of the lanyard indicates your role and the kind of access you have. It can also indicate what your organization is. Wouldn’t it great if people can incorporate these uses into their OOTD? Thanks to high-end designers like Prada, Givenchy, and the likes, this is now possible. Students and employees can now enjoy its practicality without it ruining their look. How Fashionable Is a Fashion Lanyard? If you like wearing brand names on your person, you’ll likely now see lanyard fashion in a new light. Balenciaga’s version, for example, is selling a lanyard with its brand name printed all over the lanyard in a chartreuse print on a black creased leather. It even comes in a nice presentation box. As you would expect, though, it’s rather expensive at $350. There are other options that are cheaper, although not by much. Givenchy, Prada, Gucci, and Burberry have their own versions, too. At the men’s fashion week in 2016, lanyards are everywhere. Brands like Versace, Michael Kors, and so have their male models walking down the catwalk with lanyards around their necks. This proves that even men can don a fashionable and cool lanyard, but we have yet to see the average Joe adopt this look. Who knows, it might not be long until the latest smartphones become too big for a man’s pockets. For brands that are cheaper, we have Kate Spade and Marc Jacobs offering commuter card cases. These are chic items that will allow you easy access to your cards even when it’s packed or when you have too much on your hands. If you want to go cheaper, head over to the department store or Etsy or other shops. There are now many alternatives to these brands that are as chic yet not as expensive. There are even custom lanyards for when you want to stray away from the normal look of these accessories. These are great as giveaway items for events and employers, too. Look here if you want to know more about this option. Fashion and practicality rarely mix, but when they do, it’s magical. Take women’s jeans as a great example – because of fashion, their pockets don’t serve any purpose at all than to annoy their wearers. This is why women are ecstatic when the pockets on their clothes are functional. Fashion designers paying attention to how a lanyard looks only means that the fashion industry is veering into practicality. Although people are still conscious of how they look, they also want to wear functional things. Soon, people may not have to choose between what’s attractive and what’s useful. Uggs and Crocs, for example, are some of the brands receiving harsh criticisms for their looks. This is because people love the other things they offer. Although they may be lacking in the aesthetic department for some people, they offer maximum comfort and practicality. If you want more pieces of evidence, take a look at the latest Spring 2019 Collections. Karl Lagerfield for Fendi is all about practical pockets, utility holsters, and straps. Belt bags, which people considered to be a “dad” item in the past, are now hot designer items. They’re all over Instagram, with celebrities and influencers wearing models from Gucci and Chanel among others. It won’t be a surprise if lanyards soon take over Instagram and other social media sites as well. Now you know how a fashion lanyard came to be and what it means for the industry. This makes you excited for the future of fashion, doesn’t it? Want to be on top of other trends? Check out our blog now and learn some tips like, how to choose a wedding dress. We also offer tips on other subjects, such as beauty, travel, fitness, and tech.